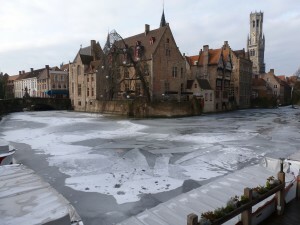 Fall In Love in Bruges! 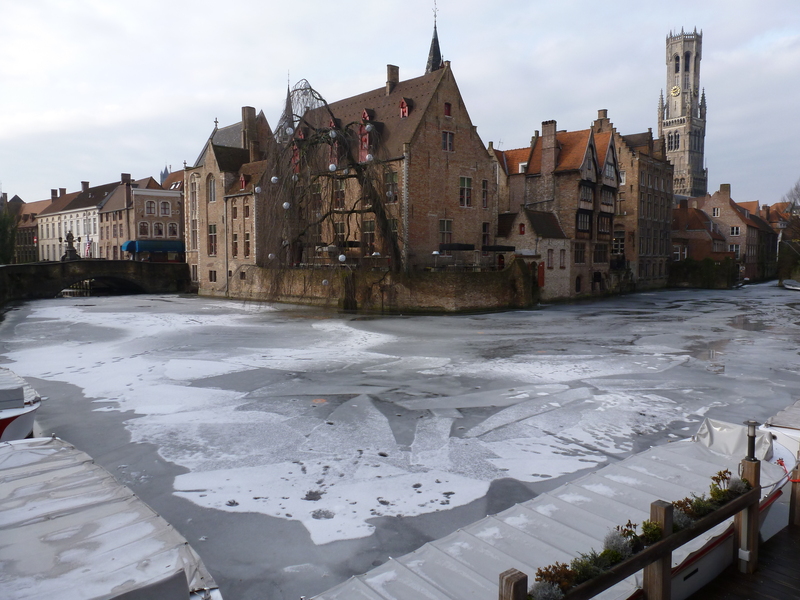 We took the easy train ride from Brussels to Bruges, which took a little over an hour, and after less than a ten minute cab ride, we arrived at the Hotel Casselbergh, which was our oasis inside the romantic city of Bruges. With a gym and spa that included a sauna and steam room and an area to relax that was free for all guests, it was nice to take time out to rejuvenate after running around in the cold for a few days. The rooms were modern and the beds comfortable! You can also enjoy the delicious buffet breakfast with an array of breads, jams, lox, cheeses, as well as your traditional items you’d find at home. Before I traveled to Belgium, everyone was asking me if I was going to go to Bruges and said I needed to see the movie, “In Bruges.” I can now see why it was the setting for this and many other movies. 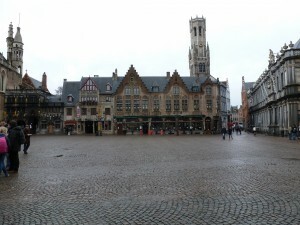 The city is comprised of Renaissance, Baroque and Gothic architecture and has a deep history which you can learn about through one of the city tours or purchasing a 48 city pass that allows you to explore the museums and historical sites for either free or a discounted price. 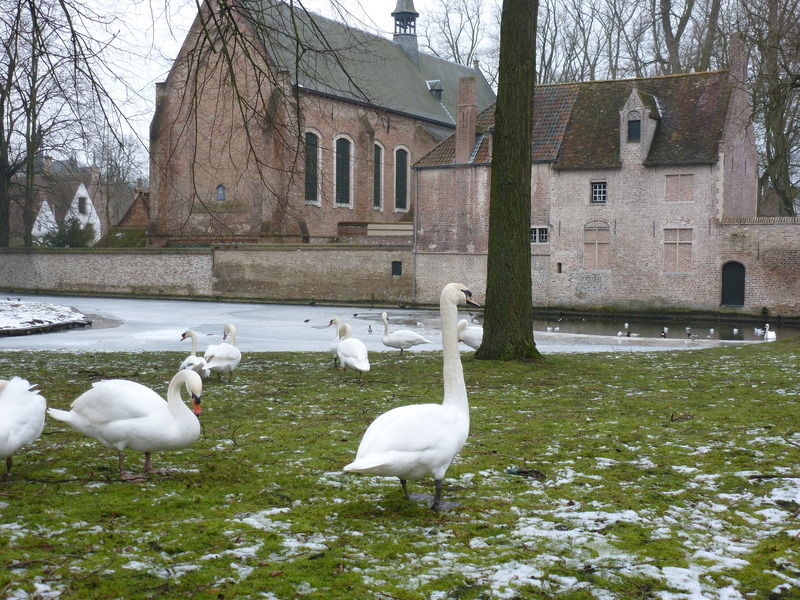 When the weather is nice, you must enjoy a canal ride around the city and don’t forget to stop by the Minnewater, where the beautiful Bruges swans hang out. Because of the beautiful surroundings, it is mostly referred to as “the lake of love,” the Dutch word “Minne” meaning love. With many romantic accommodations ranging from your traditional hotels to bed and breakfasts to suites in larger mansions, you’ll find the perfect place to make your stay special. In additional to the historical and beautiful sites, there are probably more chocolate shops per square mile than anywhere I’ve ever been. Lace is also popular in Bruges and many stores carry very nice handmade items. If you are looking for any kind of beer or beer glass, check out the 2be store for all your chocolate, beer and honey needs! 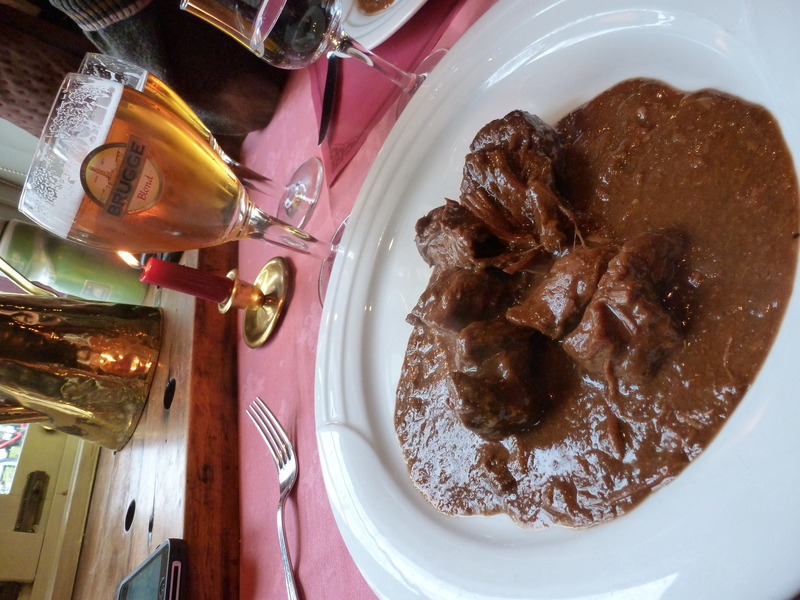 The food in Bruges was spectacular. 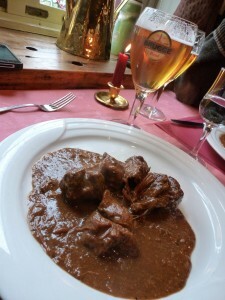 For lunch we enjoyed a traditional Flemish dish of beef stew, perfect after walking around during the cold winter day. Dinner was at Restaurant Cafedraal which was also the setting for the fight scene in the movie, “In Bruges.” I think that dinner was one of the best meals I had while in Belgium and the service (we had Igor as our server) was really friendly and personable. I had oysters from France that were so plump and yummy and then the cod with steamed vegetables that just fell off the fork into my mouth so smoothly! My friend had the bouillabaisse and as an appetizer, a dish consisting a homemade pasta, fresh tomatoes, Spanish ham and grated parmesan cheese. I am not a huge beer drinker, but of course when in Belgium, one must try the local brews. I decided to go with a cherry beer called Liefmans, which has been around since the 1600s but can only be found here, and for someone who doesn’t like beer, it was a great option! My friend opted for the Duvel. 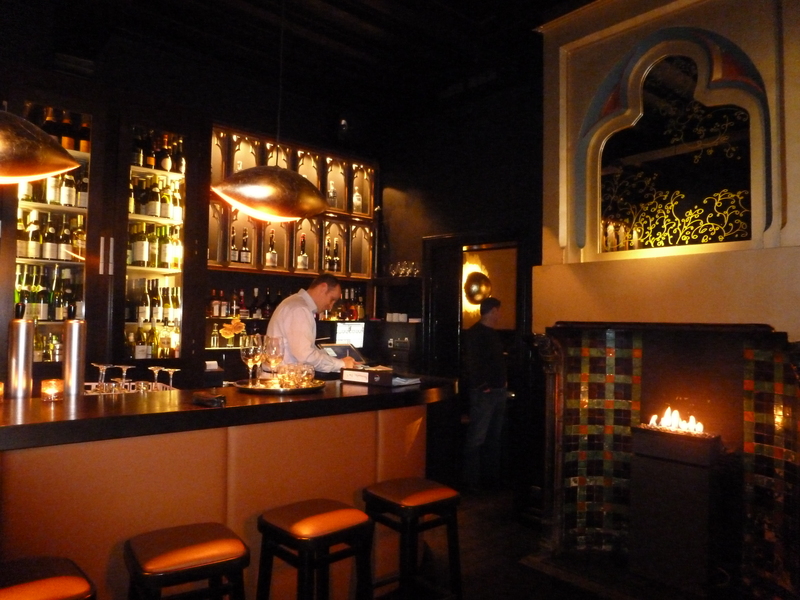 Previous Post: Brusselicious 2012: more than just chocolate and waffles! Next Post: Diamonds (and chocolate) Are A Girl’s Best Friend!